We hold two large used book sales a year in the parking lot underneath Central Library at 1015 N. Quincy Street. The closest Metro stops are Ballston and Virginia Square on the Orange Line. 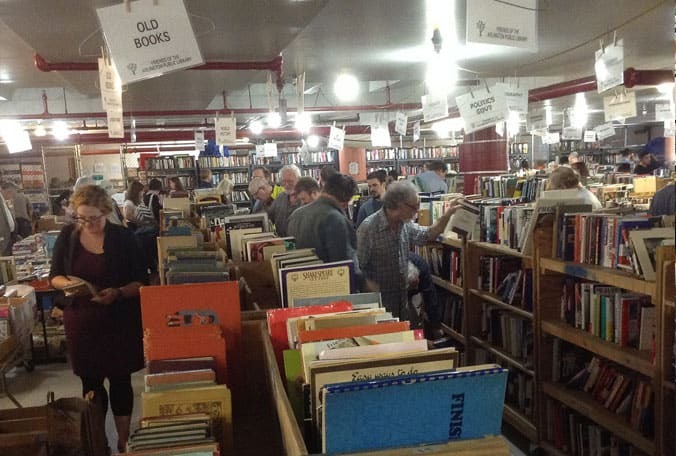 Members only night is always the Thursday night of the Book Sale and Sundays are always half price days. You can become a member on Thursday night at the sale! Volunteers are always needed for these sales. Sign up to volunteer. Open to all and Everything is half price!